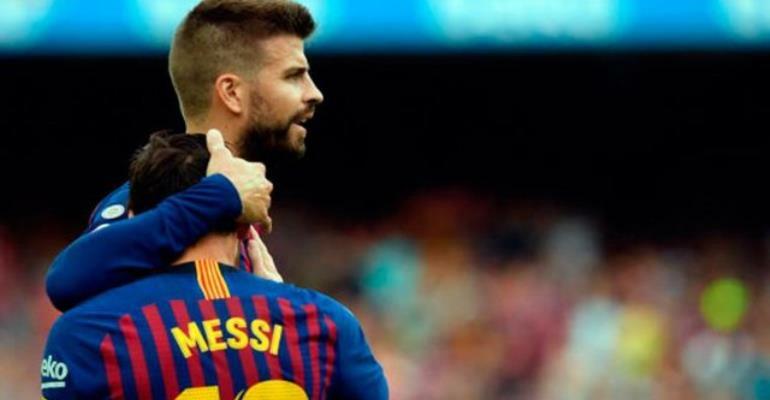 Gerard Pique has revealed that Barcelona team-mate Lionel Messi is one of the ‘biggest trolls’ he knows. The centre back insisted that, far from his shy public persona, the Argentine is actually a bit of a joker. "Messi has very ironic humour, he's one of the biggest trolls [I know]," Pique told Movistar+ show 'La Resistencia'. And the 32-year-old, who has retired from international football with Spain and taken a prominent role in business ventures that have included reforming the Davis Cup, also made a slightly crude boast. He said: "I have more money than the budget of Espanyol this year," he said. And, despite this admission, Pique revealed there was one player who is even more interested in his own wealth – former team-mate Zlatan Ibrahimovic. "He is the guy who loves money more than anyone else on Earth," Pique said of the Swede.